I love it when an event happens that gives me a great inspiration for blogging! Yesterday my flight home from Fort Lauderdale, Florida was delayed because of a sensor problem. Really, it turned in to more than a delay. 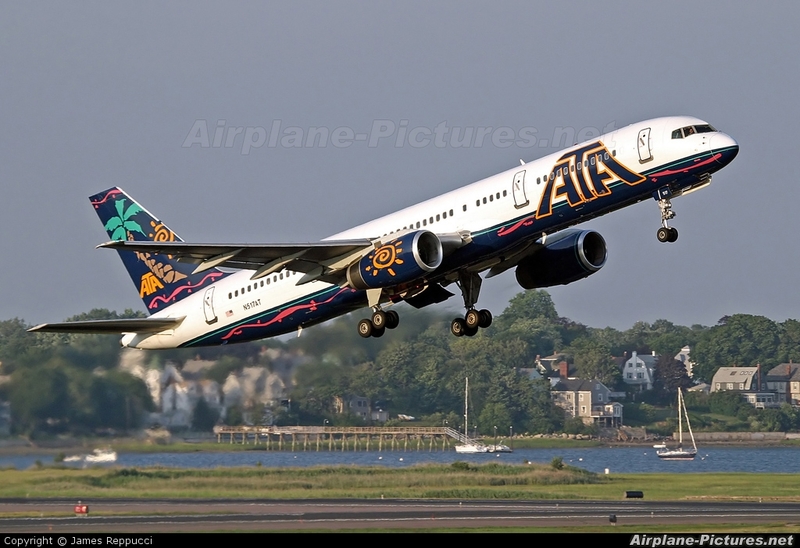 Let me start with this, however, ATA handled the situation perfectly and were great! We were deplaned because it was going to take 45 minutes to do the repair and they had to shut everything off on the plane and they were afraid we would get to hot (it was 85 degrees out and today I am back home to ice and closed my school today!). Then they had us get back on the plane, only to find out we were to get our luggage and get off the plane because they did not have the needed part to make the repair. Now, let me make this perfectly clear – I am happy to have my day interrupted for a delay of this nature! I am not ready to die yet, so I want everything possible done to avert a plane crash! Let me tell you this caused quite a stir. The old man across the aisle from me yelled, and I quote, “This is f#@%in’ bulls#$t, ATA can’t get their act together!” I’m not sure what he was talking about because, again, I want to be safe. Also, I thought it was genius to put us back on the plane to get our carry-on baggage in an organized fashion. Now, I fly ATA to Florida twice a month and think they have their act together. Anyway, as a guy who views every challenge as an opportunity I had fun with this whole ordeal by saying things like, “I’m cool with this because I think this plane crashing would cause a greater inconvenience to my evening than the delay.” Even though I am positive there are probably some out there who would have been cool with me going down with the plane. Of course the guy on the aisle next to me said, “Obviously you have nothing going on, but I need to get home for a dinner with friends tonight.” I thought, “REALLY!” I have to change two interviews I had scheduled for the evening, I won’t get to go to our basketball team’s last game, or pick my son up from school!” NOPE, I’ve got nothing going on. BUT, I didn’t say anything! In these situations I am reminded what an awesome God I serve. He could change or keep anything from happening, but he chooses to let life happen. This truly shows the extent of his power. Anyone else would want to take control, then there would be no need for faith. People got on the plane, some complaining, and I told our back rows, “I have arranged for you all to get free drinks.” Of course I really did not need to arrange for that because the flight attendant can do this if there is a mechanical delay, but they did not know that – AND, of course the flight attendant took care of this! Needless to say, my new friends had a stress free flight home! So, here’s the reason why it was delayed form me (I think): As I was leaving the airport the woman sitting in the row behind me approached me and told me she needed to tell me something. I thought, “Great, this woman’s going to tell me how annoying I was.” Because, really I was. No, not the case, however! She said, “I just want you to know that ‘YOU’ were the reason the plane was delayed for me.” She went on to say, “I always get very upset in these situations and you taught and modeled for me how to find the opportunity in the challenge and not worry about the things I cannot control.” She also saw that I had given the flight attendant an “I’m REMARKABLE” bracelet and told her how well she had handled the situation. 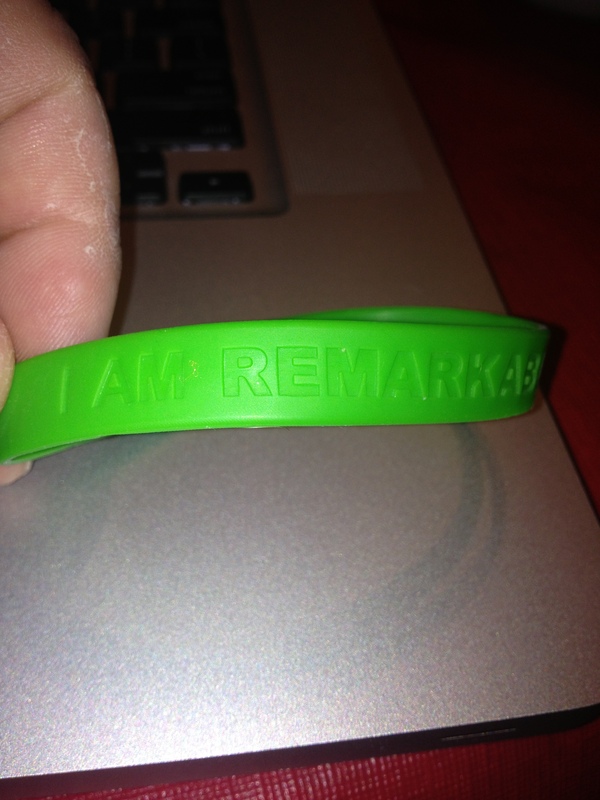 I thanked her and also gave her an “I’m REMARKABLE” bracelet and explained that the bracelets are from my good friend Kevin Eikenberry of The Kevin Eikenberry Group. I told her that both he and I believe every person is REMARKABLE and must remember this every day and find ways to improve our own lives, and more importantly, the lives of those around us. This is my mission as a servant leader. I bid the woman goodbye by telling her it was obvious that “SHE” was the reason the plane was delayed for me! I wrote last year about traveling like Flat Stanley (click here to read the post). We must remember to travel like Flat Stanley and enjoy every moment, whatever happens! All of us have either seen or at least seen pictures of the famous sculpture done between October 4, 1927, and October 31, 1941 by Gutzon Borglum and 400 workers. They sculpted the colossal 60 foot (18 m) high carvings of U.S. presidents George Washington, Thomas Jefferson, Theodore Roosevelt, and Abraham Lincoln to represent the first 150 years of American history. 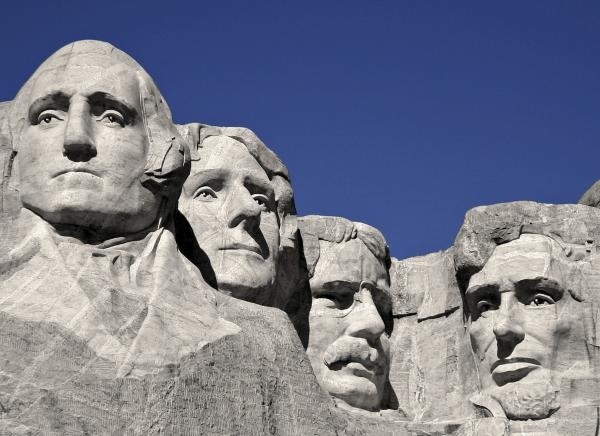 These presidents were selected by Borglum because of their role in preserving the Republic and expanding its territory. Although faced with different challenges and employing different styles, they all had certain values that they never compromised or lost sight of-such as integrity, trust and respect for followers. They exemplify values-based leadership. Washington was a skillful visionary leader. This type of leader is an expert in designing and creating an organizational culture which will make possible the attainment of the leader’s vision and ideas. As a visionary leader Washington had a vision into the far future, could develop an effective organization and attracted others to strive for the attainment of his vision so that it became a shared vision and they all worked together in an organization that sustained the vision, its beliefs and its values. I believe Jefferson was chosen for his role in authoring the Declaration of Independence, which today some might call an “action statement:” In that declaration Jefferson set out the long-term aspirations of a new nation, and in asserting a natural right to happiness Jefferson meant that all individuals are entitled to make all they can of their lives. Additionally, with his vision for public education, he understood that all individuals need to learn about democracy. As the father of public education, he set up the avenue by which all young people can become all they can be! As an educational leader I believe it is crucial to be a steward of what Jefferson started! Theodore Roosevelt is recognized as a transformational leader. He defined numerous aspects of leadership that we now take for granted in the presidency as well as in private life. His inspirational vision about the economy, industry, environmental protection, and the National Parks system is still influencing our great country to this day. He had a remarkable ability to communicate his vision, not only through his well-crafted words, but even more through his indelible example. Roosevelt’s well-publicized, courageous exploits in Cuba in the brief but deadly Spanish-American War of 1898—the fateful days he viewed as the linchpin of his life—are perhaps the most apt symbol of his leadership. Roosevelt, mounted on horseback in front of his troops, showed the way—asking others to “come” rather than saying “go” in the words of his friend Henry Cabot Lodge—putting himself at risk, making himself accountable, giving more of himself than he would ask of others. I have always said that we must walk arm in arm with others, even pulling them along at times, instead of pushing! Lincoln created a true learning organization where those in his administration were free to disagree without fear of retaliation. At the same time, he knew when to stop the discussion and after listening to the various opinions, make a final decision. When there was success, Lincoln shared the credit with all of those involved. Conversely, when there was failure, Lincoln took all the blame. Lincoln did not fear failure and created an environment where those around could take risks and make decisions without risk or worry of failure. Finally, the most important thing we can learn from these Presidents is: you don’t have to become someone else or become like someone else to be a leader, you have to just become yourself. Go be the leader you are! You all have probably read the story of Exodus 14 where God directs the Israelites to Pihahiroth where they camp beside the Red Sea and Pharaoh pursues after them (Exodus 14: 1-9) Then the Israelites look back and their faith in moving forward wavered and Moses comforts them (Exodus 14: 10-14). God then instructs Moses to look forward and instruct the people that he will fight the fight for them. Also, the cloud between the Israelites and the Egyptians (Exodus 14: 15-20) The Israelites pass through the Red Sea, which drowns the Egyptians. God reminds the Israelites there is no enemy that can defeat them as long as He is on their side (Exodus 14: 21-31). This is such an incredible story on leadership. You may remember that Moses’ leadership got the people out of Egypt. But when the hardships of leading the people through a desert got tough the people began complaining and looking back to and yearning for the life they came from, even though it was a life of slavery. This challenged Moses to his limit. Moses, you remember, was familiar with life in the desert; he had been a shepherd in the Sinai wilderness for 40 years when he served his father-in-law, Jethro. But the people of Israel were used to an agrarian life in the well-watered Nile delta. The desert was new and terrifying to them. Does this sound familiar, that we as leaders, must lead through events and processes that they are not comfortable with. 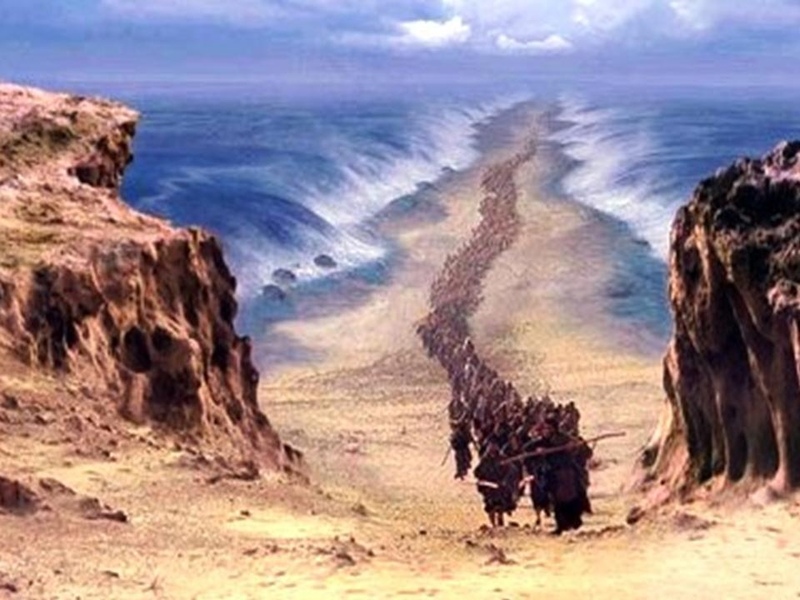 Even with the Red Sea blocking them from safety, Moses kept looking forward and sought God’s help. If you read the passage you will notice what Moses did. He seeks the Lord, literally, he “cried out” to the Lord. As a leader we most times see ourselves as problem-solvers rather than pray-ers. We need to learn from Moses who called on God and God gave him the solution. Wow, makes sense doesn’t it. Moses, as a leader, was dealing with complaining, quarreling, and fractious people who began to question Moses’ leadership abilities. While leading the Israelites Moses met many challenges, but perhaps the greater leadership crisis is the kind of rebellion that surfaces when people are afraid or frustrated. Does this sound familiar in your organization? We must remember to lead like Moses and continuing to move forward and not look back and second guess our decisions. While the Israelites were looking back at Pharaoh’s chariots coming at them, Moses was working out a solution with God’s help! We can learn from this, that as leaders we must stay focused on the task at hand. Probably the most powerful part of the story in Exodus 14 is in verse 14 when Moses said “God will fight the battle for you” (Exodus 14: 14). Remember, to be a great lead-er we need to be pray-ers as well!